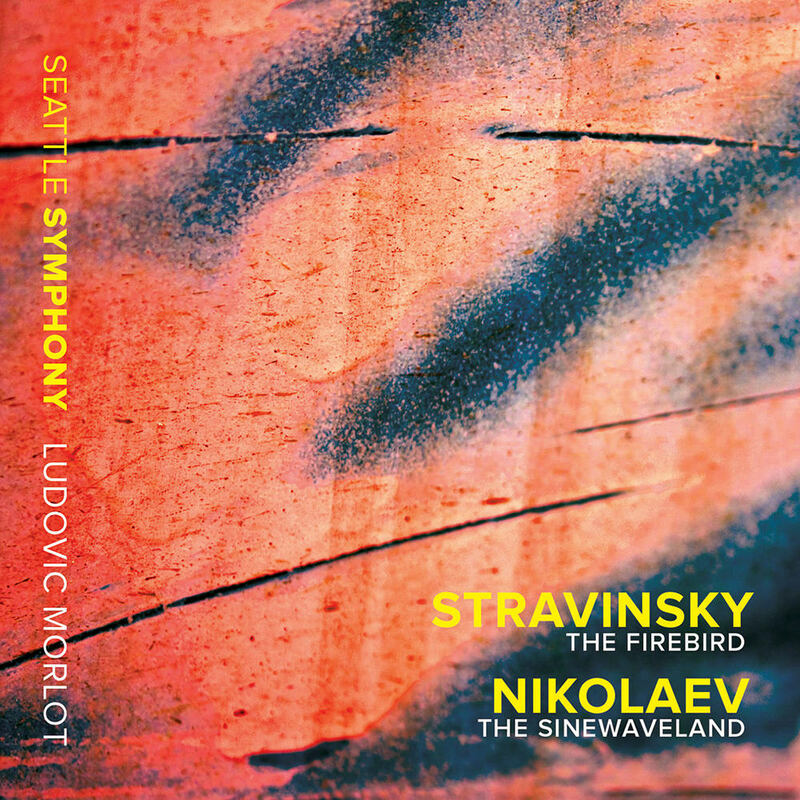 Ludovic Morlot and the Seattle Symphony deliver an unforgettable live performance of the original 1910 version of Stravinsky’s ballet The Firebird, recorded in 2014. It is paired on this album with Russian composer Vladimir Nikolaev’s thrilling tribute to Seattle’s own Jimi Hendrix, The Sinewaveland, recorded in concert in 2011. "... (Jimi Hendrix) was my idol already during my school years! I listened spellbound to his albums, which were accessible in the USSR only on the overused reels. I learned to play the guitar by listening to his recordings. His music combines spontaneity, lack of restraint and improvisational approach with well-composed forms, refinement and accuracy of details. It may seem unusual, but my path into serious music opened up with rock music rather than Mozart or Beethoven." Recorded live in concert in the S. Mark Taper Foundation Auditorium, Benaroya Hall, Seattle, Washington on June 19 and 21, 2014 (The Firebird) and October 18, 2011 (The Sinewaveland).